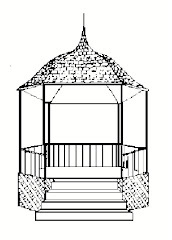 Summer Gazebo Readings: Call for Authors and Poets! Call for Authors and Poets! It is with great pride and enthusiasm that the Kiwanis Club of Oceanside, NY announces our Eighth Annual Summer Gazebo Readings series. The Summer Gazebo Readings feature 4 published authors/poets each Monday evening throughout the summer, set on a village green in Oceanside. An eclectic mix of authors (non-fiction and fiction) and poets read from their works before large, friendly, receptive crowds. If you would like to be considered as a Reader for this summer's program, please follow the directions below. Please note that not all requests to read can be honored, as we are fortunate to have many more applicants than available slots. Feel free to pass this announcement on to authors & poets you would like to see at the Gazebo! We will have a modified open read program this summer--more information will be made available at a later date. List your available dates. The Readings are held each Monday in June, July & August-- we do an Independence Day program on the first Monday in July-- Please list at least three available dates. The only restrictions are time (10 minutes, strictly enforced) and the material, as read, must be appropriate for general audiences (think basic cable, not HBO/Showtime). Spaces are limited and will be allocated at the discretion of the committee. One of our criteria will be to include a mix of genres (some poetry, some non-fiction prose, some fiction), so while we won't ask you what specifically you are reading--we will not "judge" or preview material-- we would like to know the general genre of your work. All funds raised (all--not net--all) by the program help send underprivileged kids to Kamp Kiwanis. Sponsorships are $150 and include your name and logo on signs, posters and the thousands of flyers we distribute, as well as on all announcements (including every email we send). We are also offering "Program Patrons" for $35. "Program Patrons" will have their names listed on the weekly program we will be distributing each week. If you would like to become a Sponsor or a Program Patron, send your check made payable to "Oceanside Kiwanis" to 68 Yorktown Street, Rockville Centre, NY 11570-- email or include your logo and the listing you want us to print. If you are interested in being a sponsor, please contact me for more for more information. Whether you read for us this year or not, I encourage you to come on down, every Monday in June, July and August, for a nice, quiet summer's evening on Schoolhouse Green!! Please note that we ended last year with over 200 people on our waiting list-- please do not be offended if we can't fit you in.